You can’t run a good business without maintaining your equipment. A laundromat needs to clean and tune-up their dryers. An auto-body shop keeps the hydraulics on their vehicle lifts regularly serviced. Most business owners and facility managers know that their HVAC systems deserve the same consideration. 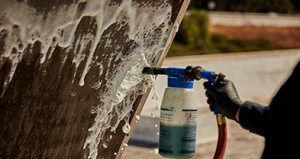 But when it comes time to choose a maintenance program, you’re faced with several options. Do you pick the full coverage service? Or maybe the cheap filter swap? Perhaps a service somewhere between the two? A comprehensive maintenance program provides the most return for your money, by increasing the lifespan of your equipment. It also reduces the number of return trips needed for issues like clogged coils or worn belts. 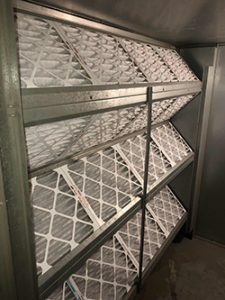 In this article, we’ll go over all the options so that whatever level of HVAC maintenance you choose, you’ll be armed with the right knowledge to select what’s right for your site. All HVAC maintenance programs share at least one basic service: the filter change. 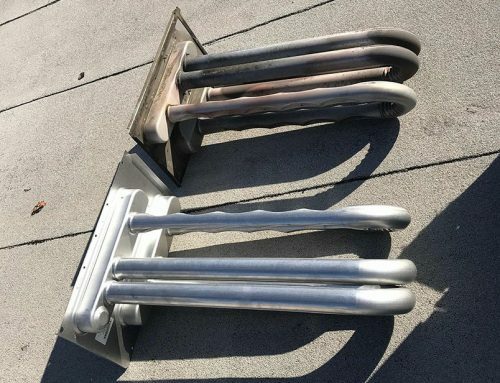 There are multiple types of filters, and versions of those types, but maintenances for commercial buildings typically use conventional, or most frequently, extended-surface filters. Conventional filters are simpler, sometimes just cut directly from rolls of filter medium or with basic framing. The better option for commercial buildings is extended-surface. 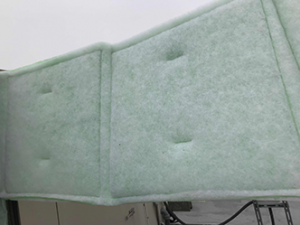 Framed with pleated filter medium to better catch particulate matter, these filters rank an 8 on the MERV scale. Contractors use MERV, or the Minimum Efficiency Reporting Value, to select the optimal filter quality for your type of business. Some commercial properties, like industrial plants or hospitals, do require higher MERV ranking filters. But MERV 8 offers good quality particle resistance at an affordable cost. Filter change only maintenances are the simplest, and cheapest, PM service available. The lowest level option will typically employ a filter technician, who’s job is to change filters as fast as possible. No inspection is included, though major visible problems are reported, such as non-operational equipment or obvious damage. A filter change and a visual inspection, the next step up, will offer a slightly more involved investigation of each unit per visit. But this doesn’t include pressure testing for refrigerant levels, or any maintenance on the unit coils. And while this option works well as a supplemental service for your comprehensive package, alternating between major PMs, it doesn’t offer the same long-term savings on its own. You could also opt for “major only” maintenances. The Spring and Fall services are critical to the health of your equipment. They prepare your units for the highest impact seasons. 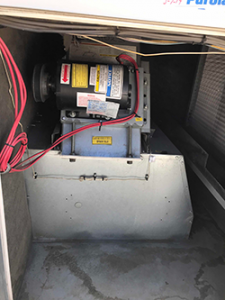 A Spring PM includes a full inspection of both condenser and evaporator coils for any damage, leaks or fouling. 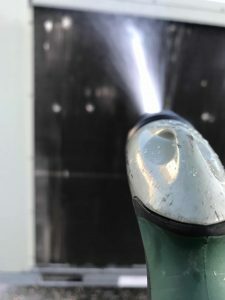 A brushing or blowing with compressed air follows, or a coil cleaning with EPA approved cleaner if you’ve chosen that option. On a major Fall maintenance, the blower housing is inspected for alignment and shaft integrity. The housing is vacuumed and blown out too. Burners, igniters and heat exchangers are checked for damage or failure, and motor bearings oiled as needed. And on both majors your refrigerant pressures, motor amps and dampers are tested. Major maintenances are a solid start to a good PM program. But choosing only major services leave a six-month gap between visits. And depending on your site, they may not be enough to keep your filters from clogging up and lowering your efficiency. The most comprehensive maintenance option is the full service PM. Your equipment receives both major services in Spring and Fall, and periodic filter changes with inspections scheduled throughout the year. With belt replacements and coil cleanings optionally included, you can further reduce the cost of unexpected service calls. Planned maintenances give our technicians the opportunity to catch problems before they grow worse. 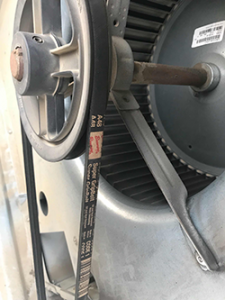 A condenser fan motor that’s over-amping on PM may be functional, but under the stress of a hot summer day the high amperages can shut it down. Your maintenance technician can record that over-amping motor and have it replaced for you before the worst happens. 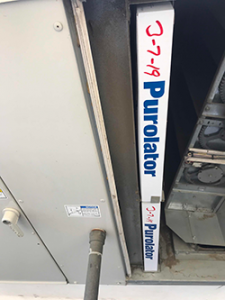 Full PM programs, like the type RESSAC provides, should always be based on the industry standard developed by the Air Conditioning Contractors of America. You can read more on the Standard 180 on their publication. This standard ensures consistent quality for the services provided to you, giving you the most optimal inspection for your money spent. HVACR systems are complex machines. And we rely on them to keep our businesses functional, for our customers and our employees. Your air conditioners, and refrigeration units too, deserve proper care and attention. Talk to your local contractor today, or call RESSAC at 800-273-7710, to determine the best kind of preventative maintenance for you.